Thursday my athletic director handed me a key ring with four keys on it. I sighed, accepting the four additional keys begrudgingly. They felt heavy in my hand and my pocket. The head softball coach has resigned with a month left, leaving me in charge. I added the keys to my existing work key ring, now totaling sixteen. And that is just for work. Keys make you important. Keys mean you are in charge of things. That you are the first one to arrive and the last one to leave. That access and opportunity will not happen unless you show up. Keys mean responsibility. I do not want four more keys. I thought twelve was plenty. Some people like keys, they like to be in charge, they enjoy feeling important, indispensible. The keeper of the keys. And don’t get me wrong, access and opportunity is good. Open doors is freedom. But there is such a thing as key saturation. I felt it Thursday. I dug deep into the depth of myself to find more energy to be in charge of one more thing, to be responsible for, to have the vision for, to have all the answers for more young people who look bright-eyed at me expecting to be led. I can do it, but I am tired. The first few keys are always exciting. Keys mean adulthood and stability. Think about the first car key you held in your hand, or that dorm room key awarded to you on a lanyard. Working at a homeless shelter, I will never forget the day one of my favorite women walked in and held her first apartment key over her head as we all celebrated her finally having a space to call home. She had a key, and that made her feel like somebody. 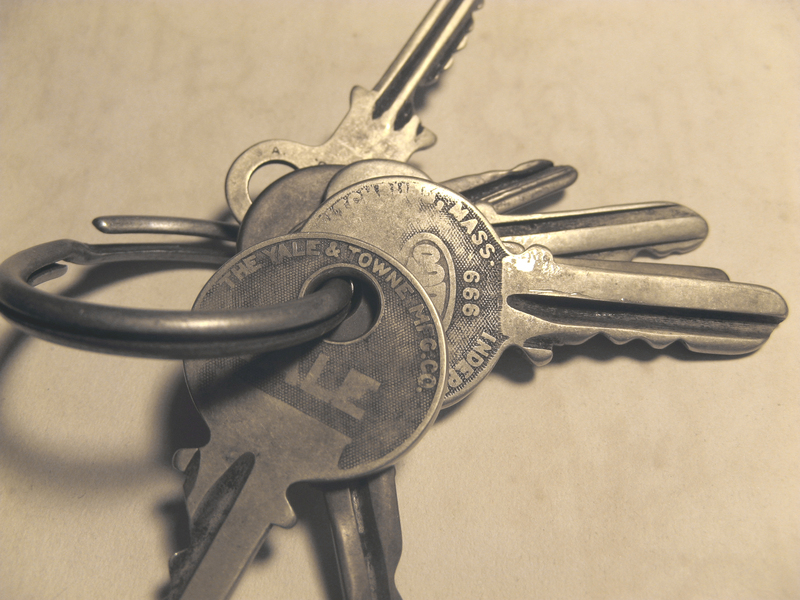 But keys are also a way to gage if I have taken on too much, and on Thursday, my key ring told me I had done just that. Some say that your personal calendar and your budget are moral documents. How is it that you are spending your time and money? I would argue that a key ring is, too. Who has access to opening what doors? Who has too many keys, and who does not have enough?